Young Thug was whisked away by officers at his album listening party at Los Angeles’ Dave & Busters last night. From the video shared by The Shade Room, the rapper is seen being taken away by police officers. It is not immediately clear why he was arrested. Yesterday, the Atlanta rapper took to his Instagram to invite fans to the listening party, which coincided with his birthday party, of his much-anticipated Slime Language album. Out of the 15 tracks, 13 are collaborative efforts featuring acts like Jacquees, Lil Baby, Gunna, Lil Uzi Vert, and more. See the arrest video below. 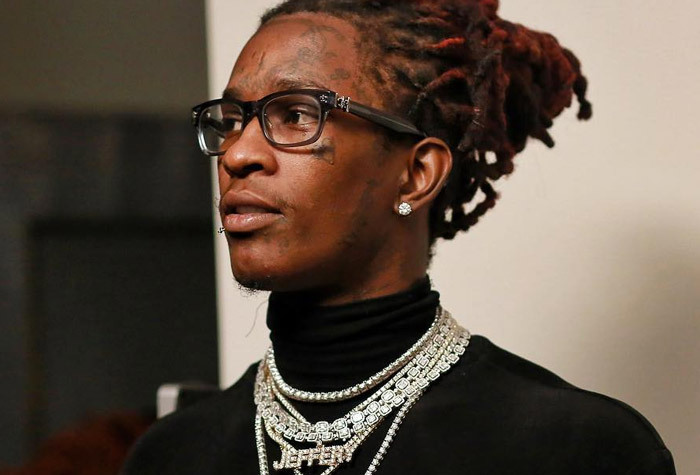 0 Response to "Rapper Young Thug Reportedly Arrested Outside His Album Listening Party in Los Angeles"